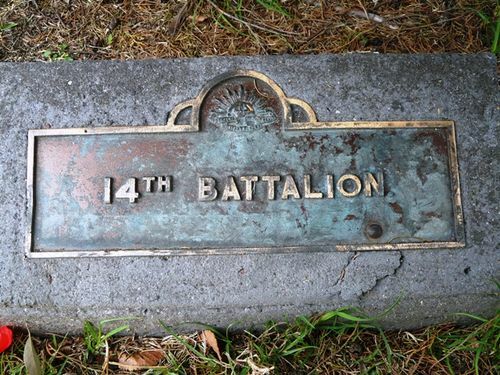 The plaque commemorates those who served with the 14th Infantry Battalion during World War One. The plaque was at the base of a poplar tree which was planted by Mr. E. J. Edmonds in 1934. The tree was No.21 in the ballot.